When it comes to Valentine’s Day treats, I usually want something that involves chocolate and strawberries – so I found a delicious way to pair the two for this sweet holiday! Of course, I wanted to come up with a treat that lots of people could enjoy, so it’s Paleo – which means it’s gluten and dairy free! So you won’t have to feel so guilty if you eat a few. This recipe involves three separate recipes, so it is a bit of work but I promise you it’s SO worth it when you get to sink your teeth into one of these afterward! You’ll start out by making the Paleo brownies, then prepping the strawberries and finally making the coconut whipped cream which will really take these to the next level. ½ c to ¾ honey or maple. 1. First, make the Paleo brownies and preheat the oven to 325 Degrees F.
2. In a stand mixer or large mixing bowl, blend your almond butter and eggs to make a smooth batter. 3. Add in the honey or maple and the vanilla and mix well. 4. Add the salt, baking soda, cinnamon and then slowly add in the Cacao powder. 5. Now fold in the melted chocolate and banana, and mix well. 6. Grease a 13 x 9 inch baking dish with oil of your choice or ghee and bake for 35-40 minutes or until a toothpick comes out clean. 7. Once cooled, slice into squares, then slice the squares in half lengthwise. 9. Now prep the strawberries. Combine the strawberries and honey/maple in a bowl. Let sit for 10 to 15 minutes to soften berries. 10. While you are waiting on the strawberries, make the whipped cream. Scoop the cream off the top of the coconut milk and place in a mixing bowl. Add cinnamon, vanilla extract, Xylitol or desired sweetener and salt. Whip by hand to desired consistency. 11. 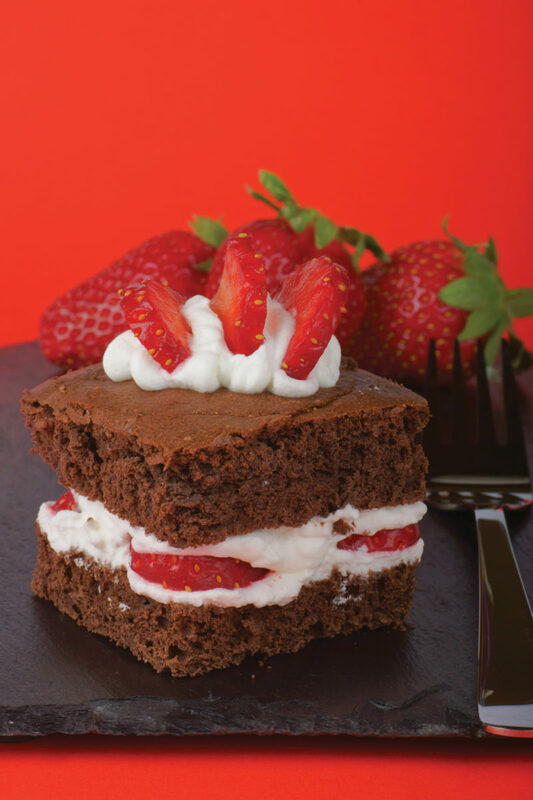 Grab two of the cut brownies squares and fill with sweetened strawberries and the whipped cream and stack like a sandwich. Top with more whipped cream and strawberries if desired! Want to give your sweetheart something they’ll love? 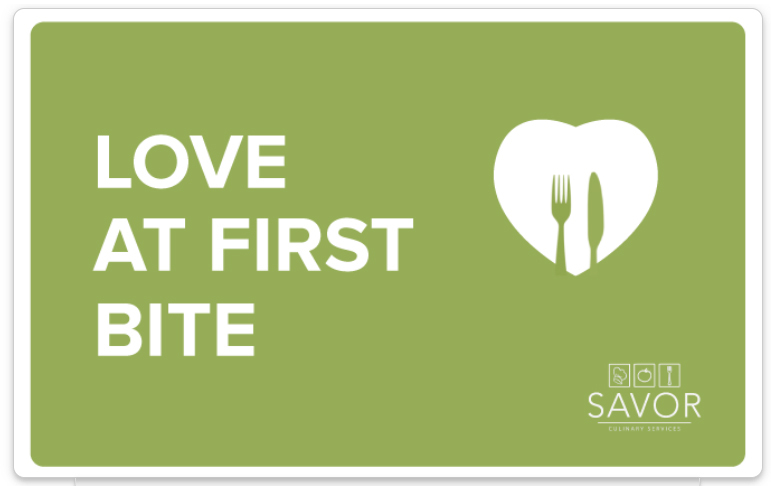 Give a limited edition e-gift card for our personalized meal delivery service!